2019-03-13 A building in Lagos, Nigeria, collapses, killing ten people and leaving more than 100 others trapped under the rubble. 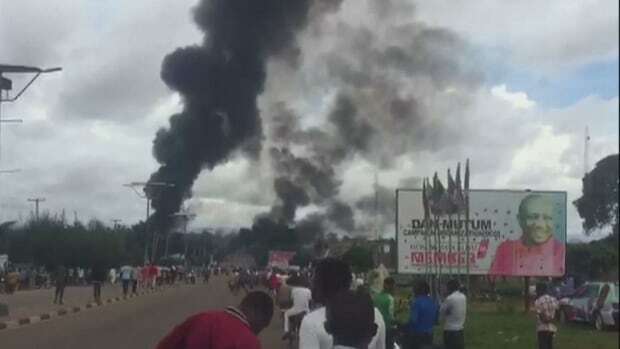 2019-03-1 A leaking oil pipeline explodes in Bayelsa, Nigeria; a stampede follows. Over 50 are reported missing. 2019-02-26 Nigeria reelects President Muhammadu Buhari.